Buckle in for a fun ride with Gold Coast alt pop outfit, BLIGH’s fresh new single, Nissan Patrol, out 19 April. Hook-heavy, synth-driven POPera, Nissan Patrol is a coming-of-age track taking you on a journey to those dizzying formative heights of finding your feet in life and falling in love. “It captures that bittersweet period when you gain your first taste of freedom with a P-plate, but you’re too young to go anywhere and too broke to do anything,” said the band’s songwriter and lead vocalist, Elliott Baylis. “We spent so much time with friends driving the streets of our hometown, just because we finally could. Making waves locally, Bligh has already been touted by national media as “one of the country’s most exciting indie bands” with numerous Battle Of The Band wins under their fan-belts and latest single, Mrs Jones, charting in the top ten on Triple J Unearthed. A bunch of high-school friends, Elliott was determined to find a group of like-minded musos who shared his passion for genre-bending, hook-heavy songs and dramatic live shows. “We’re still a relatively young band growing with our sound, but we are all so stoked with Nissan Patrol. It’s definitely indicative of the direction we’re going in. Just like penniless P-platers on the highway, BLIGH are putting the pedal to the metal with Nissan Patrol, speeding towards shiny, pop Nirvana, stereo on full blast. BLIGH’s new single Nissan Patrol is out on all digital platforms 19 April 2019, with their East Coast tour beginning on 2 May. *LANGUAGE WARNING: Explicit language featured in this track. 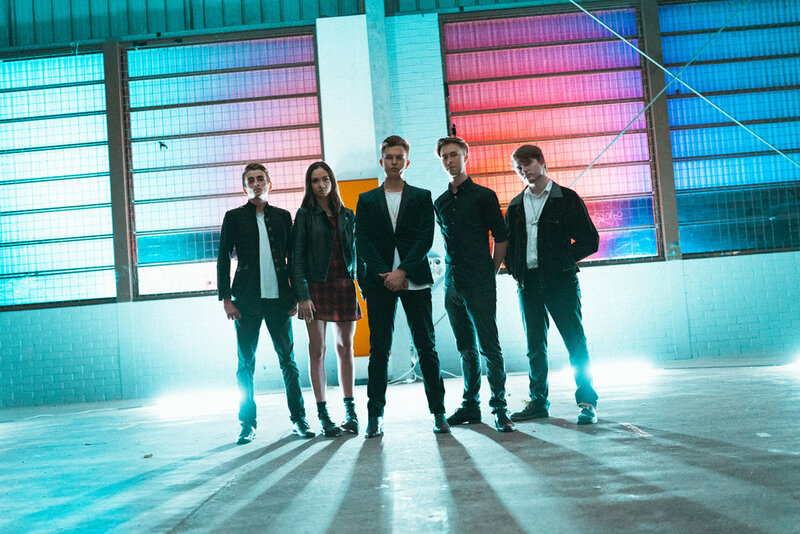 Buckle in for a fun ride with Gold Coast alt pop outfit BLIGH, already touted as “one of the country’s most exciting indie bands” for their hook-heavy, synth-driven POPera and energetic live shows. Making waves locally, Bligh have impressed taking out numerous Battle Of The Band comps and latest single charting in the top ten on triple j Unearthed. A bunch of high-school friends, the five-piece are a group of like-minded musos who share a passion for genre-bending, hook heavy songs and dramatic live shows. Just like penniless P-platers on the highway, BLIGH are putting the pedal to the metal, speeding towards shiny, pop Nirvana, stereo on full blast.